Have you ever felt your life as a rat race? Well, I do. And so does my husband. We both work so hard to be able to provide our needs and wants that, often, our health needs are compromised. We both deal with stress, day in and day out, beating deadlines and trying to finish what's needed to be done before the day ends. It gets tiring, really, but that's what adults do, right? Stressful situations are the "minuses" in our lives. Stress destroys our body's healthy cells, making us age faster and more susceptible to diseases. Not to mention the fact that this fast-paced lifestyle makes us eat unhealthy food choices. 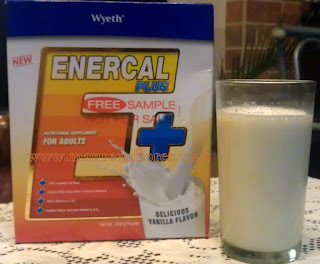 Wyeth, the country's leader in nutrition, has acknowledged this fact by introducing a new adult nutritional supplement, Enercal Plus! Enercal Plus helps stressed adults like us to fight these "minuses" by bringing in anti-oxidants into the body. 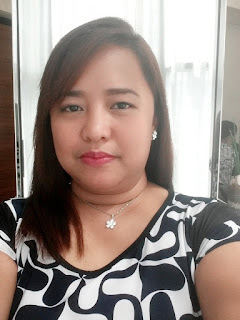 It's also good to know that its nutrient content is already equivalent to a complete meal which is perfect for those who tend to be in a hurry in the morning and skip breakfast. 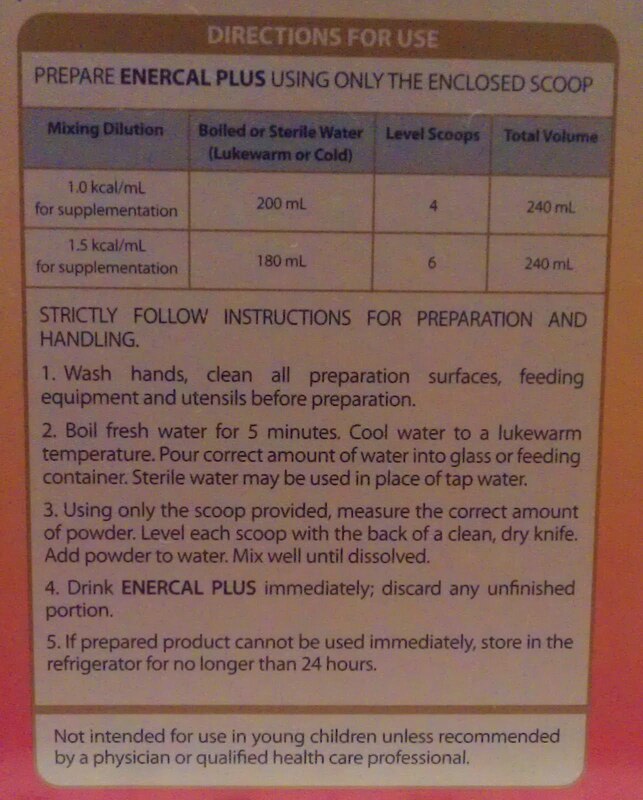 It also contains whey protein that contains the essential amino acids needed by the body needed for muscle repair. Best of all, there's no transfat. In fact, its cholesterol content meets the criteria prescribed by the American Heart Association. 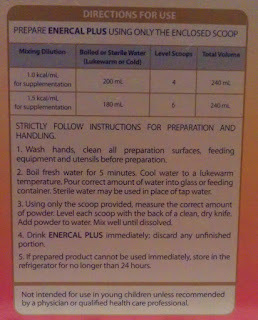 If you'll also take a closer look at the directions, you'll see that Enercal Plus can be formulated to give 1.0 kcal/ml for supplementation purposes or 1.5 kcal/ml for those who need extra nutritional support. For my husband, I usually mix the first formulation and have him drink one glass for breakfast and another glass at bedtime. For inquiries about this product, you can reach the Wyeth Careline at 81-WYETH (99384) or 1-800-10-884-2222. You can also view photos of the Enercal Plus media launch HERE. Do you believe that using supplements or even meal replacements would help someone living with diabetes? I'm one who believes this is exactly what is needed to loss that extra weight and maintain a healthier life style. http://www.diabetesweightlosshealth.com has information very similar to this.